As people living in the 21st century, we are not very bound to move a lot. In fact, most of us would much rather settle in one place for the rest of our lives, regardless of what that place may be. Our nomadic past is way behind us and it seems that these days, moving to a new area, city or even country is something most people would be very happy to avoid. And yet, when there is nothing else to do and when you have already decided on moving to Elm Park, RM12, you know that what lies ahead of you is a long list of to-do things. You know that moving comes with its fair share of stress and pressure and that keeping these under control will be nearly impossible to do without receiving help from the “outside” as well. 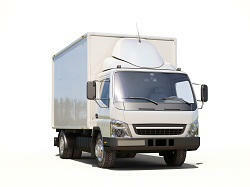 Moving Service has dedicated its time and knowledge to helping those moving a house in the area. We can bring in the van you need and the man and van movers you need and we can help you safely remove and pack everything you own. Contact us on 020 8746 4402 and our friendly customer service representatives will tell you more about this. The area belongs to the London Borough of Havering and it is one of the main suburban areas surrounding London. With a population that is just a bit over 12,000 the area provides its residents with the peace of mind they are searching for. In many cases, people coming from the larger city areas find this place to be relaxing and beautiful precisely due to the fact that it is less noisy and busy than the big city. The area is not the kind of place that will keep you isolated from the “world out there” though. Estimates say that there are more than 130 units in the town centre, all of which cover for every single need you may have. Clothes shops, bicycle shops, greengrocers – you name it and this little suburb will offer it to you. On top of everything, if you ever feel the need to visit London, you will be provided with transportation that will get you there easy and fast – so that you never miss the “buzz” of the big city without having to permanently live there. In less than ¾ of an hour, you can be in London, visiting, shopping or doing business! Moving Service wants to help you by providing excellent removals services around Elm Park, RM12. We believe in being truly reliable for our customers and we believe in making every single person who works with us feels comfortable with our movers in RM12 area. For this reason, we will always be smiley and friendly with our customers – and from the person who will answer the phone to the guys who will come to help you move, everyone will be nice, polite and warm. Behind our smiles lie years and years of training and experience in the “art” of helping people move in a hassle-free and stress-free way. You can rely on us to be there for you at the appointed date and you can rely on us to help you make sure that every single item in your “collection” of personal belongings is properly transported to its new home. Call us on 020 8746 4402 and find out more about the excellent removals services we offer. We will provide you with all the information you need and we will help you settle on those services that are suitable for you.